"Our stories are our most powerful tool and our most powerful currency for connection." Owning your story can be very empowering not only in our personal lives, but in business as well. Today I’m chatting with Kay Fabella about the process we go through as entrepreneurs to connect with one another through the power of story. As a business strategist and story teller, Kay describes the process in which we go through when we are looking to pivot in our careers and how we can help bring others along on the journey. Kay is a Los Angeles native, living in Madrid Spain who crafts words for purpose-driven entrepreneurs to pivot with purpose and connect with the people they were meant to serve. She's a world-recognized speaker, author and trainer who's been featured in international media like the Huffington Post and El País. She's also the co-founder of Brand in a Bottle, a boutique bilingual branding agency. 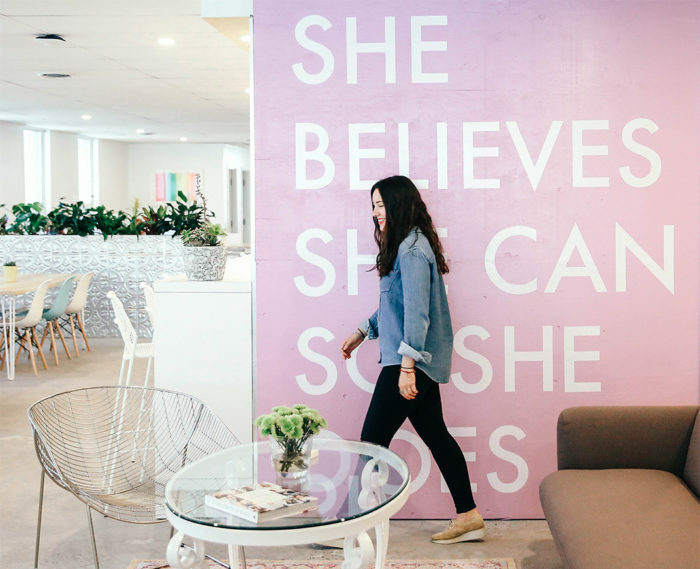 In this episode of I am chatting with the founder of an all-female co-working space here in Toronto called 'Make Lemonade'. During our conversation, Rachel Kelly shares all about what it takes to have a successful startup, how to create healthy boundaries in life and business and when to say no to opportunities that just don’t work for you. Rachel’s first “real” job was a typical 9-5 desk gig where she would spend most days daydreaming how she would redesign the office and where her next adventure would be. When the reality of freelancing with an unstable paycheque hit her hard, she decided to make lemonade. She spent a year researching coworking, studying the market, searching for an office space, battling renovation nightmares, 'till she was finally able to open her very own coworking space, Make Lemonade. Welcome to episode #006 of The Couragecast. In this episode I chat with my friend, the talented and uber creative Alyssa Yuhas, about how her desire for community and collaboration have been the catalyst to gather like minded creatives. She shares her heart and vision for the future of Designer Vaca, and what may be on the horizon. For as long as Alyssa can remember, she's been collecting stacks of magazines. She followed that love to design school, where she was trained in visual design & communication. In nearly a decade since, she has worked for a boutique design firm, in-house and for an ad agency before starting her own business 7 years ago. She now works with clients from all over the world: from Sydney to London, from New York to Vancouver. In 2012, she moved across Canada to Toronto and pioneered the creative at C3, a vibrant church community. 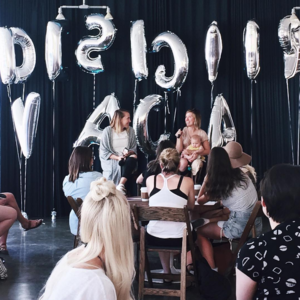 In 2012, Alyssa co-founded Designer VACA, an anti-conference (or vacation) for female graphic & web designers held in Palm Springs. Alyssa is a seven 'enthusiast' on the Enneagram (https://www.enneagraminstitute.com/type-7/), a mother of boys, a binge podcast listener, was named one of 10 Young Designers to Watch by DesignEdge and this one time Katy Perry used her popcorn carton design at her movie premiere. The first thing to getting what you want out of life, is to decide what you want. I've created a step by step action plan to help you start making the best decisions for your life, starting right now. Andrea, please send me the worksheet!